Diplo has a technical DJ prowess that many don't speak of, primarily because his powers of curation are immense. He comes from the school of crate-digging, and his knack for finding diverse, impressive sounds from little-known scenes and casting them into the main discussion borderlines on obsession. 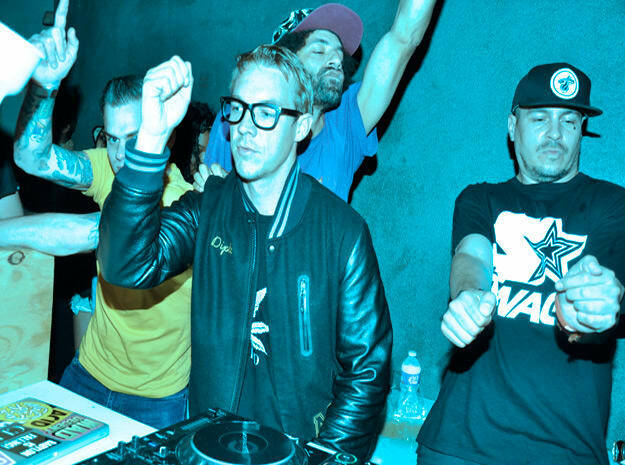 If there's any major movement within dance music, Diplo has had his hands on it, or has at least cultivated a solid stack of records to fit that sound, and his Mad Decent imprint is a vital part in helping these undiscovered talents pop. Just look at how moombahton and trap exploded over the last few years. Did Mad Decent start these sounds? Definitely not. You can't deny that some of the bigger tunes from those scenes were in some way bigged up via Mad Decent releases, via on Mad Decent or via their Jeffree's imprint. It's just what they do: they find the next movement, then move with it. And no matter how you slice it, Mad Decent has had a hand in introducing us to many of our favorite artists. Today, we want to take some time out and say thank you to Mad Decent for putting us on to the future of dance music.